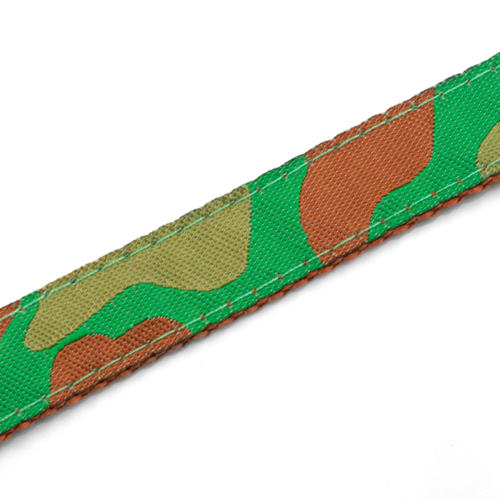 This nylon & polyester strap bracelet comes in a variety of colors. 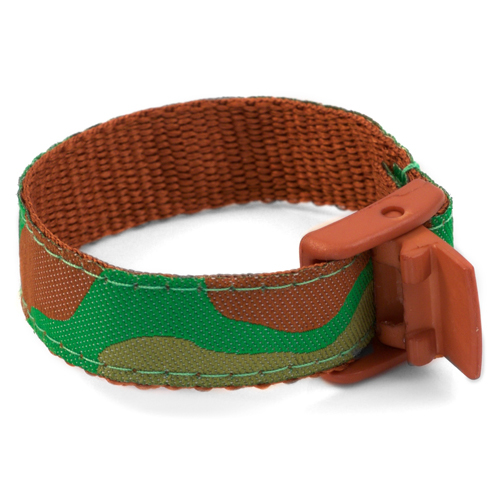 The snap-lock clasp keeps the bracelet secure on an active child's wrist. 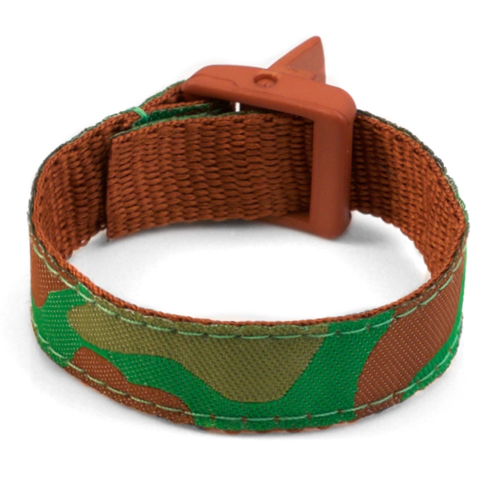 It adjusts from 4 to 8 inches, with the extra length tucking under the inside of the strap and touching the wrist. 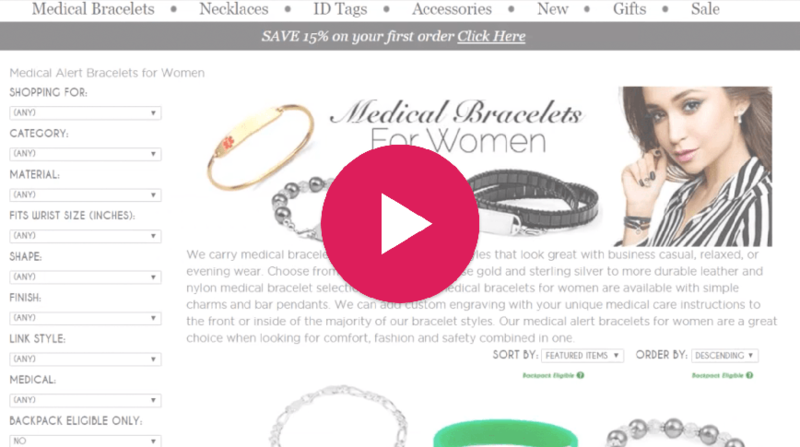 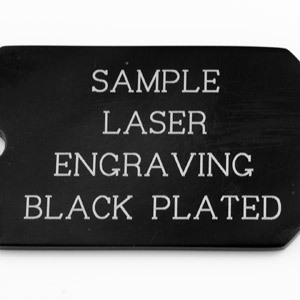 This product features an engravable medical ID tag. 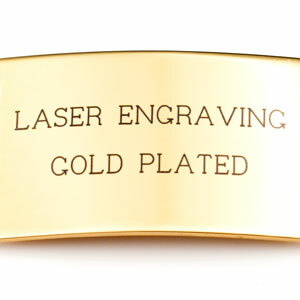 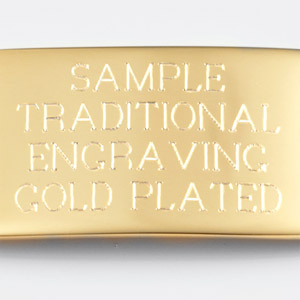 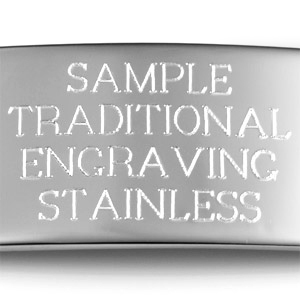 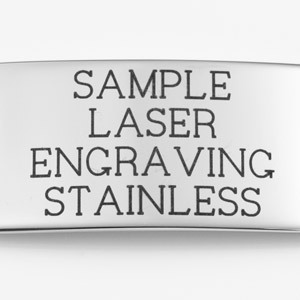 If you select back engraving, we will engrave the words SEE OTHER SIDE on the top front. 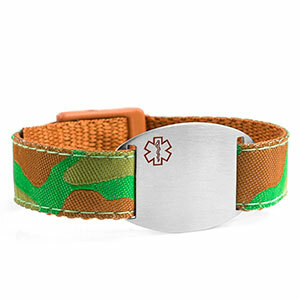 You can also select the strap by itself and choose from other medical other ID tags to go with it from another page on our site.